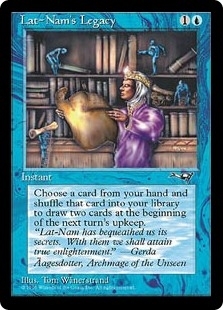 Lat-Nam's Legacy (2) ($0.00) Price History from major stores - Alliances - MTGPrice.com Values for Ebay, Amazon and hobby stores! Card Text: Shuffle a card from your hand into your library. 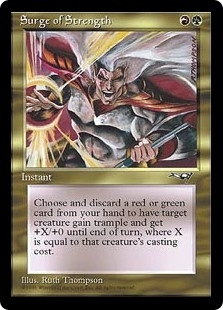 If you do, draw two cards at the beginning of the next turn's upkeep.